After a quiet couple of weeks, I am happy to report that the fishing seems to be picking up again. I got a message from Bradley Price, saying that his favourite mark at Abbotsbury has been producing some good fish for him. He managed to land two lovely Undulates on Pout fillet at distance. He also had 3 Smoothound and a double figure Conger. Bradley also mentioned that the Mackerel are still not around, but he had lots of Scad. I like to use Scad as Live Bait if I can get small ones. They are much hardier than Mackerel, so will last until a nice Bass comes along and takes it. Using what species are around at the time will often make the difference between a blank and a great session. I had a drive around this morning, to see how the water clarity was. I had also heard report of a lot of weed towards West Bexington. The water clarity has certainly improved and should continue to get better over the next few days. I could see no sign of any weed, so hopefully that has gone. Chesil Beach forecast: With clearer water Chesil should fish a lot better this weekend. I am hoping that the Mackerel will move in, but even if they don’t, I am pretty sure that the Gurnard and Bream will show up. I have managed to order some Peeler Crab in the hope that I can catch a nice Smoothound tomorrow. The wind is going to swing back to the South West on Sunday and pick up in force. Those are my favourite conditions for targeting Bass. Night tides will see plenty of Pout and Dogfish. Portland: Just as with Chesil the improved water clarity should bring the Pollock back to the shore, as well as making lure fishing for the Wrasse an option again. If you are coming to fish on Portland and are not familiar with the area, please take care especially on the high ledges and cliff sides. Unfortunately there was a tragic accident at Portland Bill yesterday, when an elderly woman fell from one of the ledges and died. I have fallen a number of times around that area, which is why I always wear my flotation vest when I fish there now. Church Ope Cove should give protection from the wind on Sunday, and is sure to provide sport as the sun starts to set. Portland Harbour: With small tides this weekend the harbour will be fairly quiet. Mullet can be caught at Castletown, and Flounder from most of the harbour. You can guarantee there will be a lot of wind surfers along Hamm Beach and Ferrybridge during the day, so it is a good idea to avoid those marks until later. Weymouth Bay: There has been some nice fish caught from both piers this week. 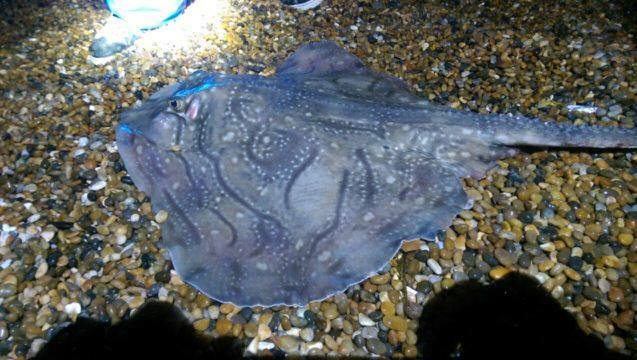 The pleasure pier has produced Dabs Flounder and Plaice, as well as Gurnard. The Stone Pier is better for Wrasse, Pollock and Bream. A float fished sliver of Mackerel will produce Garfish, Mackerel and Pollock on both piers. Preston Beach is another sheltered mark for Sunday. 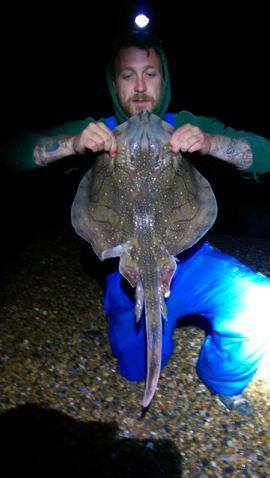 It too has been producing well recently, with good numbers of Gurnard and Dabs as well as a few Smoothound.